The blog A Paper Bird has written a response to both the horrific attacks in Paris and the public outcry concerning those attacks. It very closely mirrors my own thoughts on the matter. Therefore, I will link to the article and say that I sign onto it as a sort of petition for my own perspective. Like the author, I am concerned with the claims that non-participation in #JeSuisCharlie and such is an expression of either cowardice or acceptance of the killer's views. I feel there are rational, moral reasons to not take part in such things, the article covers those issues. I would not have addressed the events at all, save that there have been a variety of responses within the Stoic community, some that I agree with to a large extent and at least one that I find morally abhorrent. However, I have not yet come across my own views being expressed. I feel that adding a perspective that hasn't been considered could at least go to show that within our philosophy there is a diversity of opinion and room for disagreement. So please, take the time to review, Why I am not Charlie. I have not run across Stoics who disagree with the above point, thankfully. I have seen a variety of thoughts concerning the proper Stoic response to violence, both our response as individuals and the actions we call for from the State and other institutions. A small subset have called for violence for violence. In particular, there has been calls for violence as punishment and as a deterrent for future actions. These views are indefensible within Stoicism. The Stoic response to offensive actions is always one of restoration. As Aurelius states in Meditations 11:9, no person's offensive act can cause you to be unvirtuous against your will and neither can that person cause you to act without compassion towards them. Kindness towards offenders is not the same as inaction concerning their injustices. Aurelius says to, 'be tough-minded in thought and action.' Stoic tough-mindedness is for the hard work of overcoming the obstacles of vicious action with wiser and more lasting humane actions; actions meant to repair and restore even the most offensive of people to the human community. 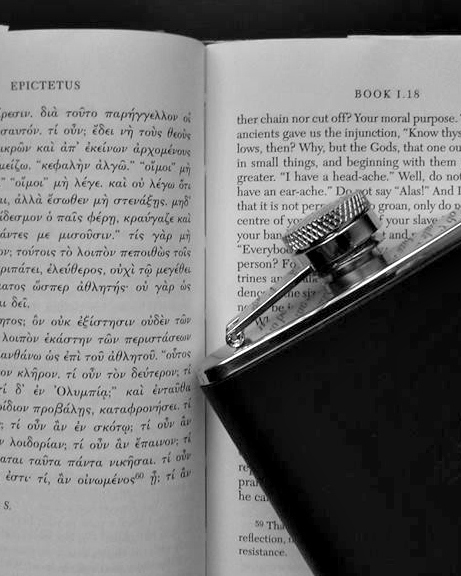 As I belabor in my writing, Stoicism treats all people as valuable, and demands that we bring each and every person continually closer within our circle of concern. While we are doing the hard and satisfying work of a Stoic in our own lives, we are likewise responsible to call for restorative justice through our institutions. We do not get to cheer on policies that devalue human beings. We don't get to outsource cruelty to the State and then wash our hands of the actions done in our name. There's a reason that so many ancient Stoics were exiled or murdered by the State; they demanded better. Concerning our adversaries, 'it is as much a weakness to become harsh as it is to shrink from action and relent out of fear.' The hardened heart is a distinctly un-Stoic organ. The healthy Stoic is one who can remain fully and relentlessly humane in the face of inhumanity. That is the Stoic I strive to be and those are the people I hope to partner with as we build up a Stoic community. So please remain tough minded. but also be gentle towards those who oppose you. January 12, 2015 by Matt Van Natta. Stumbling, Dusting Off, and Getting Back to Action! I am planning on 2015 being a year of action, both for the Immoderate Stoic project and for my life in general. On this blog, I want to focus attention on active Stoicism. In my personal life, my family and I are picking up and moving to a new city and I plan on using that shake up to change a few personal patterns. All attempts at change come with the possibility of setbacks. To a Stoic, those obstacles that come from the outside (e.g. items broken in the move, plumbing at the new apartment needs work, or the new neighbors don’t understand noise ordinances) are no big deal. It’s the inevitable personal failures that can be disheartening. If my grand plan to have everything quickly unpacked doesn’t come to fruition...that’s all on me. So to start this year, I want to remember some Stoic advice concerning non-Stoic actions. Marcus Aurelius begins Meditations 5:9 reminding himself to never lose heart. Marcus points out that the goal of the practicing Stoic is not to have been perfect in the past but to be actually content in the present. It’s unfortunate that I lost my temper in traffic this morning, but what am I doing to be fully present and joyful in the staff meeting this very minute? I should be happy to return to my daily practice. Again, in Marcus’s imagery, Stoicism is not a disappointed teacher waiting to scold me, it’s a salve waiting to heal my wounds. The quote above is incomplete. After speaking about securing an inner peace, our Stoic emperor continues, “Remember, philosophy desires only what pleases your nature while you wanted something at odds with nature.” The Stoic conception of our human nature is prescriptive; it’s not about our desires in the moment but our life at its best. This point is so important Marcus actually felt the need to counsel himself against getting it wrong. Remember, philosophy desires only what pleases your nature while you wanted something at odds with nature. Here’s Stoicism’s reminder to aim for the best things. It is, after all, possible to not stumble in life but also to never walk towards anything worth the journey. Marcus Aurelius often admonishes himself for reading philosophy books as a means of hiding from the real duties his philosophy requires him to fulfil. I could point a finger at myself when it comes to philosophy podcasts, r/stoicism discussions, and the like. There are things to do in this world. I should finish them, then do more. I’m ready for 2015: The Year of Action. I’ve been reminded to not lose patience with myself; to return to right thinking and then to take worthwhile actions. I think this year is going to be a joy and, if I think like a Stoic, that’s exactly what it will be. January 1, 2015 by Matt Van Natta.